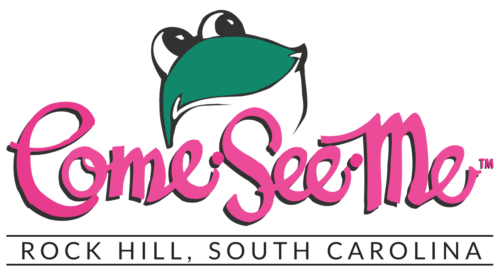 Rock Hill Coca-Cola Bottling Company is once again a proud sponsor of Rock Hill’s Come See Me Festival, which has been named a Southeast Tourism Society Top 20 Event for 2019. With nearly 80 different events and activities, we don’t have time to list the all! Here are some highlights for each day of the Come See Me Festival. Thursday, April 4th, 6:30 p.m. The Come See Me Festival kicks off with the annual parade held in downtown Rock Hill. The theme this year is “Rocking Rock Hill.” Music from every era and genre will be represented. Friday, April 5th, 4:30 p.m.
Rock Hill’s Fountain Park will be alive with music during Music Mania. Kids will enjoy a variety of music and hands-on play with instruments. The event will end with a Kazoo Parade led by festival favorites Glen and Glenda. Saturday, April 6th, 11 a.m.
Get your grub on at Gourmet Gardens around Winthrop Lake. Local food vendors will have booths set up all day. There will also be music and games at the kids’ area. Sunday, April 7th, 2 p.m.
Head over to Glencairn Gardens for Ice Cream Sundaes with Glen and Mother Goose. Kids can bring their stuffed animals for booboo repair. There will also be face painting and balloon twisting. Monday, April 8th, 6 p.m.
Glencairn Garden Evening Entertainment will feature Leslie Richardson and Friends performing rhythm and blues/Motown sound. Tuesday, April 9th, 3:30 p.m.
A perennial favorite activity, the Teddy Bear Tea Party will be held at the Richardson Ballroom at Winthrop University Campus Center. Be sure to register for this kids’ event. Wednesday, April 10th, 12 p.m.
Glencairn Garden Lunchtime Entertainment will feature Ansel Couch, a guitarist/vocalist. Thursday, April 11th, 6:30 p.m.
Broadway Night at Sullivan Middle School will feature amateur entertainers performing selections inspired by Broadway numbers. Friday, April 12th, 6 p.m.
Winthrop Lake will be the setting for an evening of Moonlight Jazz and Blues. At 6 p.m., the Mike Faulkenberry Band will play, followed by Adrian Crutchfield at 8 p.m.
Saturday, April 13th, 3 p.m. The Come See Me Festival finale will be the Tailgate Party held around Winthrop Lake. Enjoy a skydiving exhibition, live music, and a fireworks extravaganza to close out the festival.